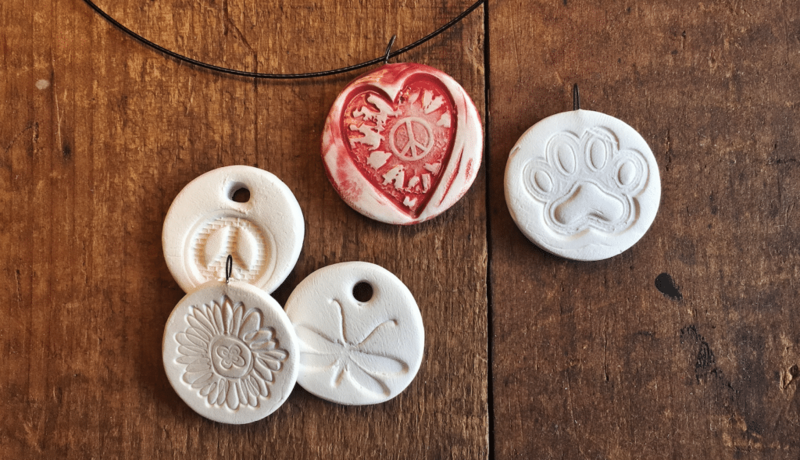 Join us on Saturday, March 30th from 11am-12pm for a Clay Diffuser Pendant class! Learn how to cut shapes, stamps designs, and finish your pendant with wire and paint the very same day! Pay a deposit, then just pay per pendant the day of the event (minimum of four pendants at just $5 each!) Make plenty of pendants to match every outfit, or to give to friends and family! It is SO easy to create the perfect clay pendant that you will have a hard time making just a few! Once you pick up your creations, they will be ready to use with your favorite essential oils! For a 100% refund, cancellations must be made at least 48 hours in advance. Cancelations made within 48 hours of event will be given store credit. If you do not attend the event and do not give notice, no refund or store credit will be issued.